Its near perfect 50/50 weight distribution creates optimal balance and highlights the advantage of a rear-wheel-drive system in a front-engined vehicle by pairing rear-wheel drive with the Giulia Quadrifoglio’s front-mounted, all-aluminum Bi-Turbo V6 engine. The Giulia Quadrifoglio is the only sedan in the world to be equipped with an active aero front splitter. This adjustable carbon fiber spoiler is integrated into the front lower fascia. Sophisticated and electronically controlled, it dynamically balances and adjusts overall downforce. On straights, the splitter is closed to minimize resistance and drag. On corners — or when braking — it opens up to provide up to 220 pounds of downforce for optimum balance. Torque vectoring technology further positions Giulia Quadrifoglio at the top of the segment. This system controls wheel spin by optimizing the power distribution between wheels in traction. So there’s no loss of power— just better traction and control, no matter the speed or road surface. 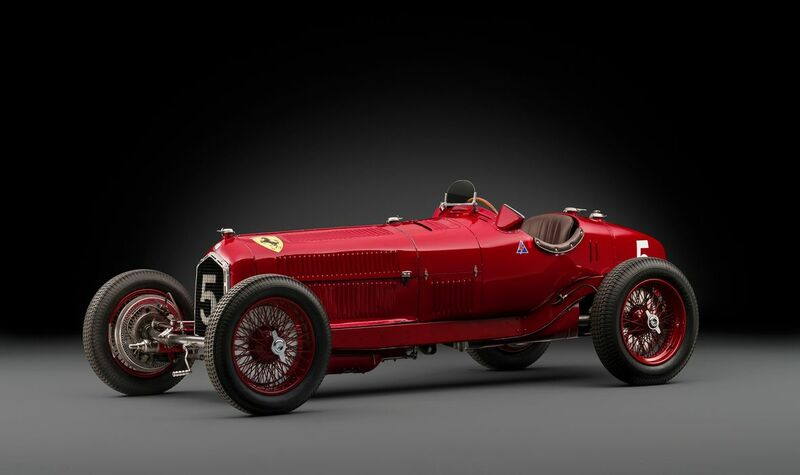 Alfa Romeo's fabled racing history was built on communication – between driver and crew, between car and driver. Today's Giulia employs technology to communicate telemetry instantly. The interior of the Giulia takes into account every aspect of driver needs, putting innovative, vital controls within easy reach. Conveniently located in the center console are two simple rotary dials. The first controls Alfa's DNA Pro system, which consist of four different driver selectable modes: Dynamic, Natural, Advanced Efficiency or Race mode, all of which can be used to create a unique driving experience by adjusting the throttle response, turbo boost, suspension and signature exhaust note. The second rotary dial controls the high resolution industry first hidden 8.8” wide screen infotainment system with real-time vehicle performance pages and telemetry, plus 3D graphic navigation that recognizes hand-written gestures on the top of the rotary pad, allowing the driver to interact with the 3D Navigation system simply by moving fingers on the pad. The Giulia's intuitive interior is fully committed to the driver's every need, offering easy access to vital and next-level technologies. The knob for Alfa Romeo's DNA Pro system is on the center console; it features four selectable modes that allow the driver to customize the experience by choosing from Race, Dynamic, Natural and Advanced Efficiency. RACE activates the overboost function for increased torque limits and allows for maximum pedal response for ultimate sport driving. DYNAMIC delivers sharper throttle, brake and steering wheel response for sporty on-road driving and a throatier exhaust note. NATURAL is a comfort setting for a perfect balance in daily driving. ADVANCED EFFICIENCY enables the cylinder deactivation to maximize energy savings and dynamic efficiency. An Alfa Romeo always stands out for the innovation of its engine. Throughout its rich 105 year history, Alfa Romeo has introduced many industry firsts with innovative technologies that contribute to class-leading performance. The Giulia Quadrifoglio continues this tradition with an all-aluminum 90-degree 2.9 liter Bi-Turbo V6 engine that delivers class-leading 505 horsepower and 443 lb-ft of torque between 2,500 and 5,500 rpm; it launches from 0-60 in a class-leading 3.8 seconds and achieves top speeds of 191 miles per hour. Amazingly, Alfa Romeo's most powerful production car engine is also designed to deliver world-class levels of efficiency. An electronically-controlled cylinder deactivation system reduces fuel consumption by shutting down cylinders when extra power is not needed and a start/stop system stops fuel flow and shuts down the powertrain when the Giulia is at a full stop. The Giulia Quadrifoglio’s use of ultralight, high-strength materials, class-exclusive technologies and supercar power and handling convert into priceless driving dynamics. 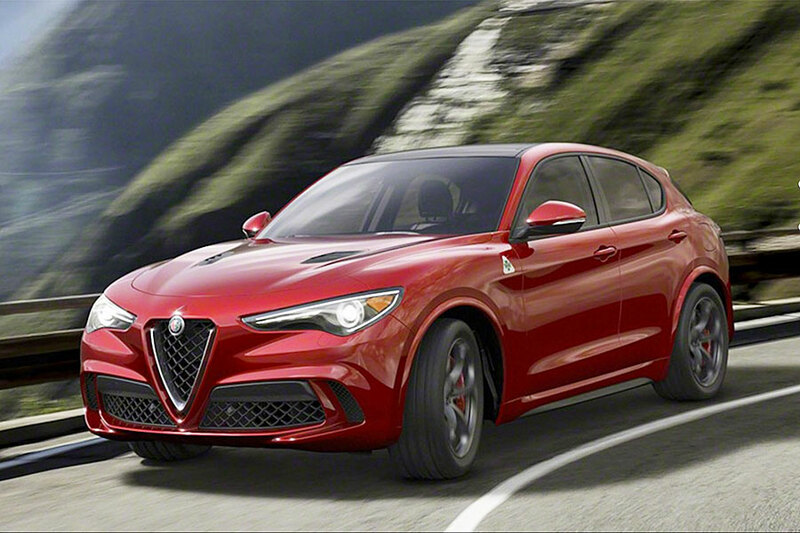 This all-aluminum direct injection 90-degree 2.9-liter Bi-Turbo V6 is Alfa Romeo’s new benchmark. It generates an incredible best-in-class 505 horsepower and 443 pound-feet of torque, allowing it to launch from 0-60 in a class-leading 3.8 seconds and achieve a best-in-class top speed of 191 miles per hour. These formidable stats lead to another impressive distinction: with a lap time of 7:32, the all-new Giulia Quadrifoglio is the fastest four-door production vehicle to take on the demanding Nürburgring track. An innovative active damping suspension dynamically adapts its response depending on driving conditions and the mode selected with Alfa DNA Pro. Alfa Romeo's exclusive double wishbone front suspension with semi-virtual steering axis guarantees rapid and accurate steering feel. Alfa Romeo Giulia Quadrifoglio has the most direct steering in the segment, allowing the driver to tackle high lateral acceleration with a consistently perfect footprint. Alfa-link rear axle design with vertical rod ensures top performance, driving pleasure and passenger comfort. The Giulia interior was built around the driver, Alfa Romeo Giulia Quadrifoglio designers focused on simplistic elegance, with a focus on incorporating the essential elements for performance. Inside, Giulia's high-level of craftsmanship starts with an asymmetric-styled instrument panel, featuring a driver-focused cockpit. Wrapped in ultra-premium leather and Alcantara®, and highlighted by authentic carbon fiber, aluminum and accent stitching, the Giulia features a bespoke look that could only be crafted in Italy. And for your listening enjoyment, there’s an available 900-watt Harman Kardon® surround sound system with 14 speakers, including two surround sound speakers, one subwoofer, 12-channels, high-speed amplifier with DSP for 7.1 matrix surround sound. The interior is rich in details and made with exceptional materials. The dashboard of the Quadrifoglio is leather wrapped, enhanced by genuine carbon fiber inserts. The available lightweight Sparco® carbon fiber seats are upholstered in Alcantara® and leather, detailed with contrast stitching. The reduced-diameter performance steering wheel is leather-bound and features the Alfa Red start button. It began as a simple request for good luck and ended up becoming a symbol for something even more magical: track records and race victories from Alfa Romeo and the drivers who campaigned them. In 1923, legendary Alfa Romeo race car driver Ugo Sivocci wanted to break a string of secondplace finishes. So to prepare for the legendary Targa Florio race in Sicily, he painted a white square with a “Quadrifoglio”, or four-leaf clover, on the front of his Alfa Romeo RL Targa Florio. And, as luck would have it, he finished in first place. In the same year, Sivocci was track-testing a new car that didn’t yet bear his lucky symbol. Tragically, he crashed and lost his life. And a legend was born. 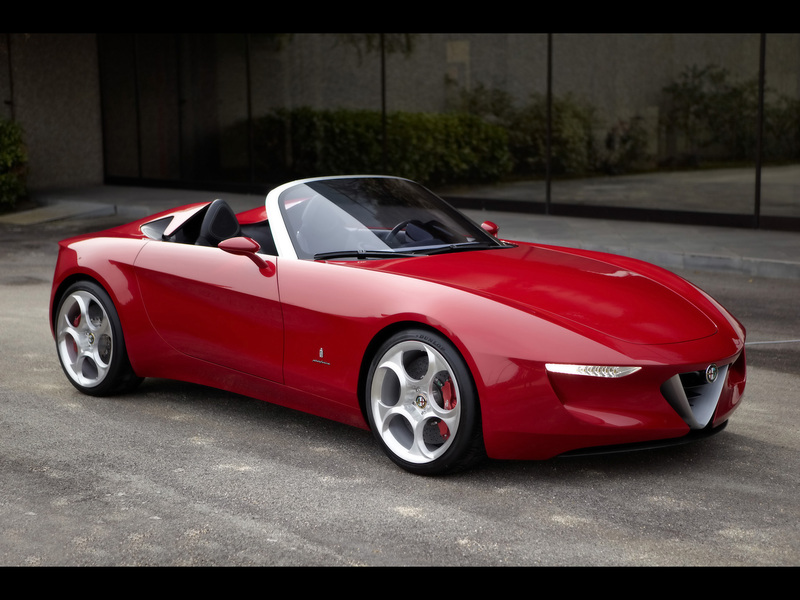 The reverence people hold for Alfa Romeo has only grown with each milestone along the way. Full-speed Forward Collision Warning- Plus: provides autonomous braking and, under certain circumstances, slows or brings the vehicle to a full stop when frontal collision appears imminent. Lane Departure Warning: alerts the driver of inadvertent lane departure. For a 360-degree perspective, Blind-spot Monitoring, Rear Cross Path Detection and front- and rear-park assist sensors are standard on Alfa Romeo Giulia Quadrifoglio. No performance car is complete without a robust set of brakes to harness the power. The Giulia Quadrifoglio introduces Alfa Romeo’s new Integrated Braking System; it optimizes brake pedal feel and reduces braking distances – even at extreme temperatures. While the standard Brembo brakes provide exceptional braking performance, the available ultra-high performance carbon ceramic brakes reduce weight and enhance performance even further. 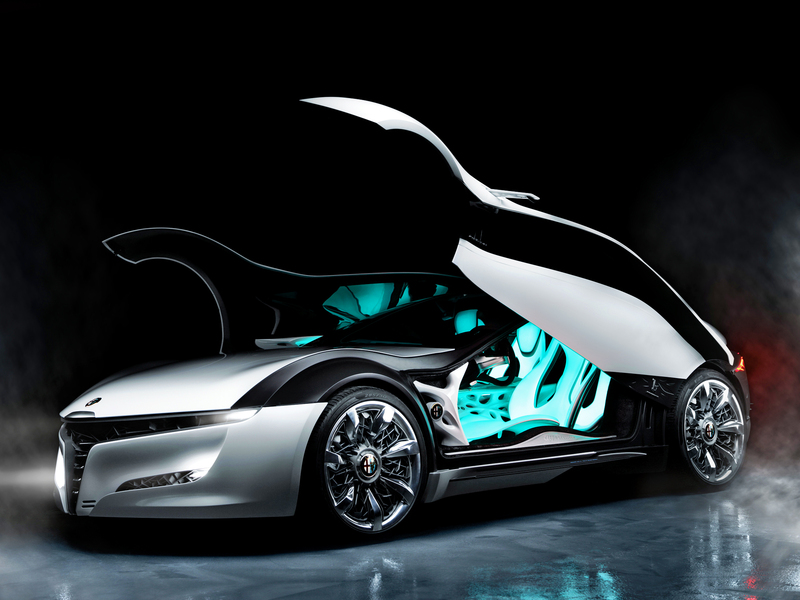 They guarantee instantaneous response, with a braking distance of 60 – 0 mph in 102 feet.